Like many 4-year-olds, Henry is in love with space! 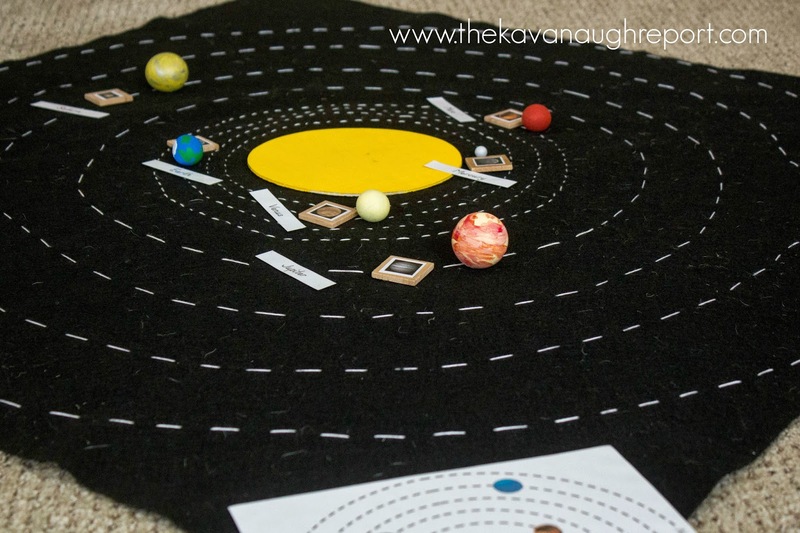 I needed a easy, cheap Montessori inspired way to teach Henry about the planets and came up with this DIY solar system. 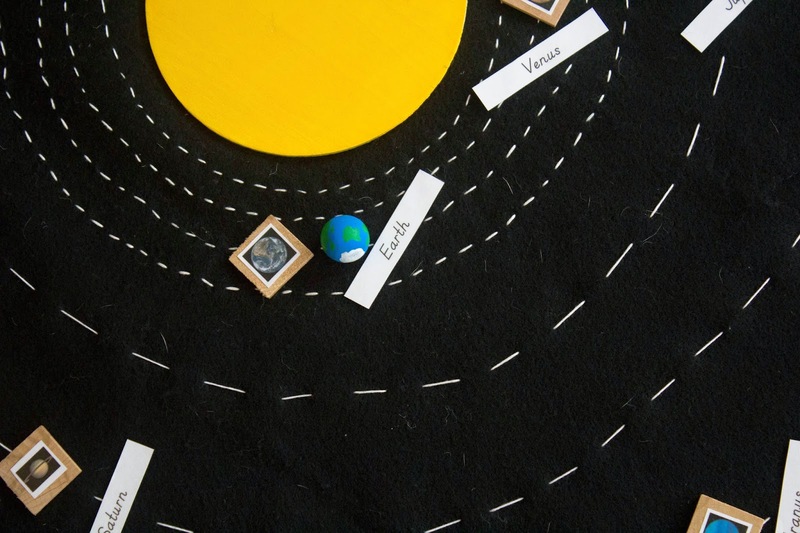 As I mentioned in our Montessori inspired space unit, this map has been a huge hit! And, it's way easier to make than it looks! First, to make this map, you need to make the planets. I used wooden balls and sized them according to their real sizes. Therefore, Mercury is the smallest, Jupiter is the biggest and everything else is in between. I used acrylic paint to on the wood. Then, painted the larger circle as the sun. 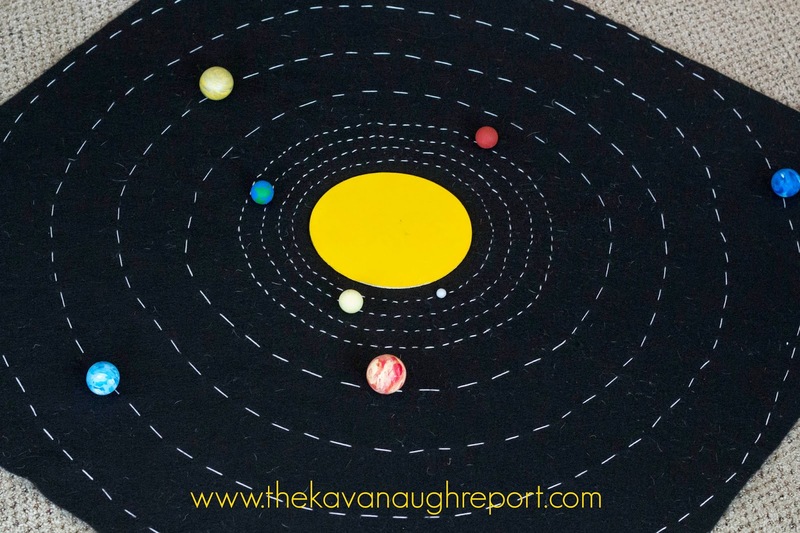 Next, you need to make the actual solar system map. This was the most time consuming step. To make, lay the sun in the center of your felt. Then, using the chalk, draw 8 circles around the sun. The first four are closer to each other and then spread out. I used chalk because its easy to see on the black, and can be easily erased if your circles need a little work -- I know mine did! Once the circles are drawn, you can use the embroidery thread to start sewing. Follow the lines you've drawn until each of the eight circles are completed. I just used a basic stitch because that is the extent of my sewing knowledge. 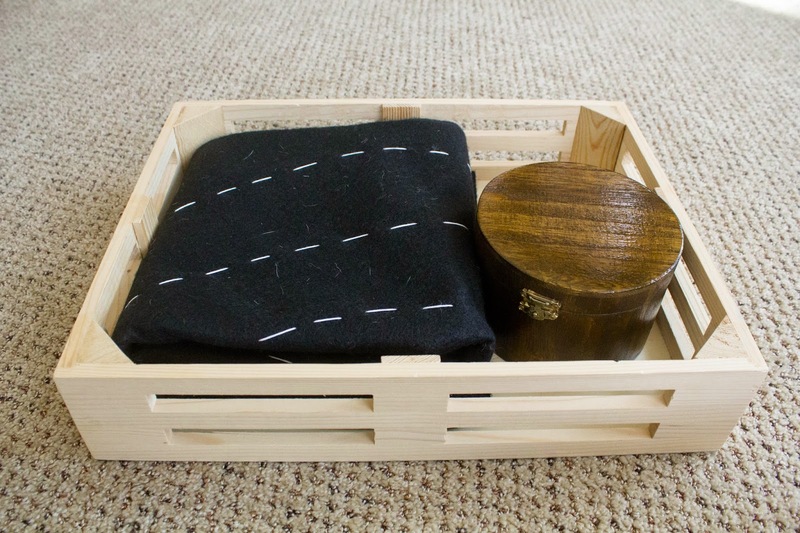 Once the sewing is done, you can use my free printable to complete the project! The printable includes the small planet cards, the names and the control map. 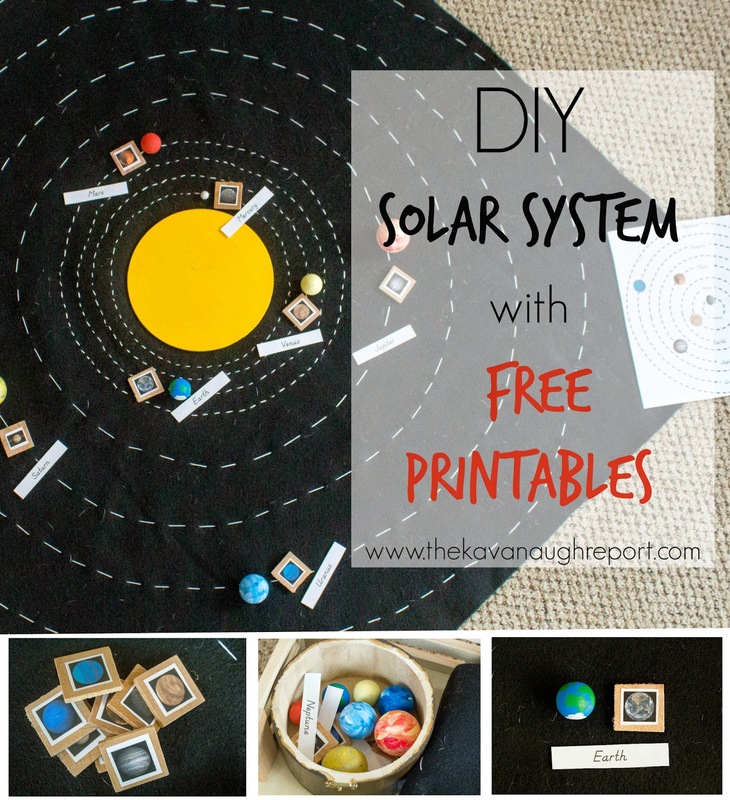 The images in the printable are real pictures of the planets from NASA. I chose to mount the small planet pictures to a small tile of wood with some modge podge to add a little strength, but that's not necessary. This project was way easier and cheaper than I could have imagined. 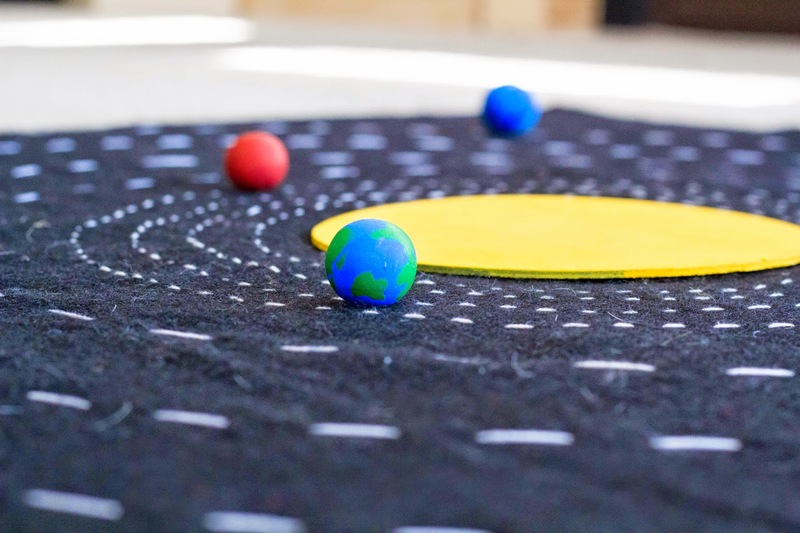 It took some time to sew all the circles, but it's been a great hands on way to teach Henry about the solar system. Hopefully, it's the same for you! This is amazing! Great job! Thanks for linking up at the Thoughtful Spot Weekly Blog Hop! We hope you stop by again next week! These are amaaaazing, Nicole! 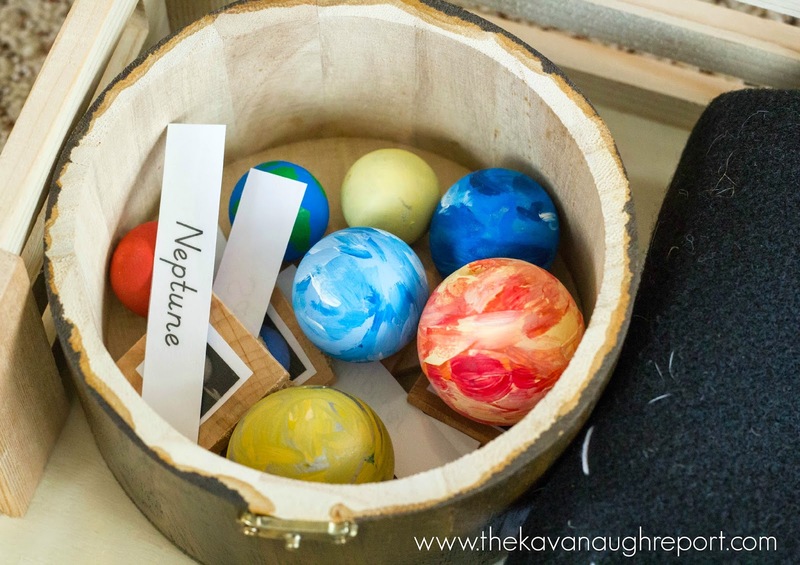 I have had some stryrofoam balls in my craft room for awhile, planning on making these, but those wooden ones are gorgeous. Love this! About how big is the felt? 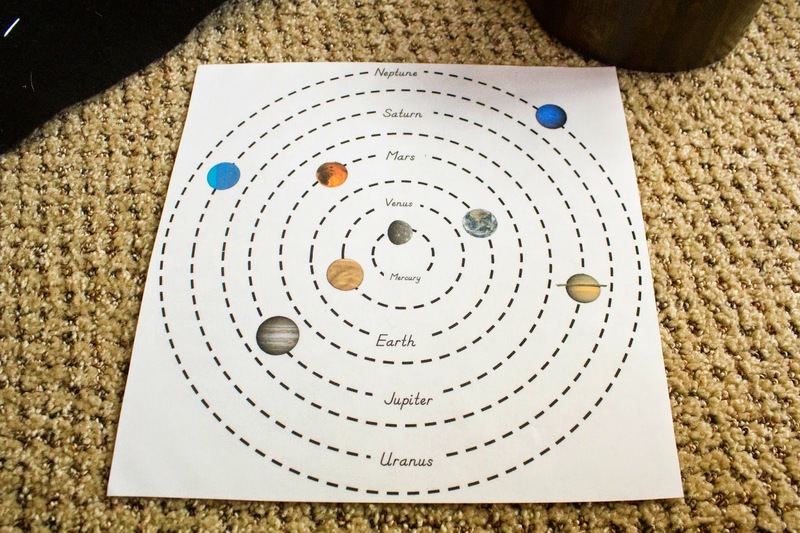 amazing thinking..this is great way to give the knowledge about universe to the kids.this is very good idea to making it.through this the kids can learn easily..